The most common use of this product is to produce Invoices, Statements, or other Documents with a return stub, voucher, or coupon. 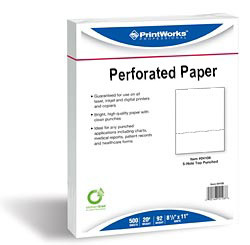 Order a Case of 5 Reams, 2,500 Sheets, and Save! 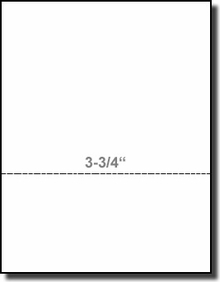 8-1/2" x 11" Perforated Papers in 15# and 20# weight.